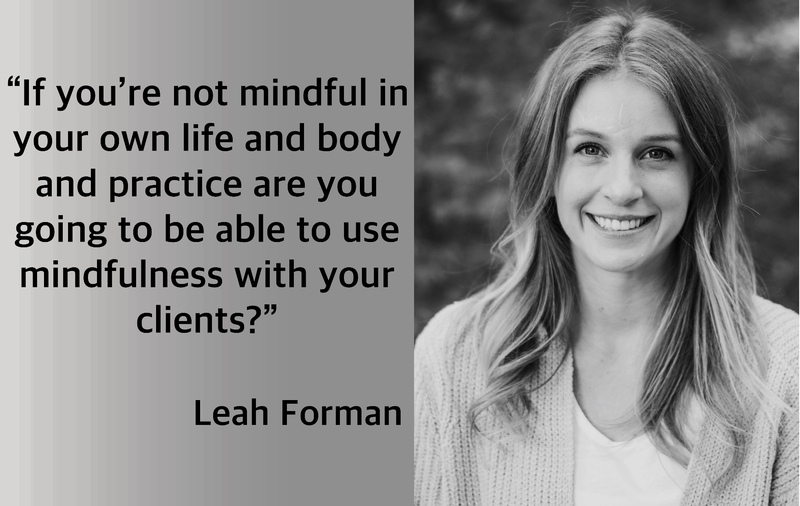 Leah Forman is a COTA and an OTD student whom I originally discovered from her Instagram. The very first post I saw was a photo of a pelvis and a comment about womens health, mindfulness and OT. This (strangely) caught my eye due to my good friend Melissa LaPointe and her business/interest/passion in the field. I also noticed Leah had a blog and through reading some of her posts I got to see some quite similar interests to myself. The use of mindfulness and meditation being one of them. Connecting with her then and having further discussions it didn’t take long to work out we were on the same wavelength about a lot of different things. Seemed like a no brainer to get her on Occupied and see where the conversation took us! Leah taught me about what a COTA is and what they do. We also explored the therapeutic use of mindfulness and meditation. Finally we looked into the links that can be seen between the concepts of mindfulness, minimalism and Occupational Therapy. The conversation was fun and came really easily and I’m sure you will get as much out of this conversation as I did.